Happy Friday! Another week down and holy time warp, Christmas is coming so soon! I can't believe it. I have been chained to my desk editing and it feels like life is passing me by. 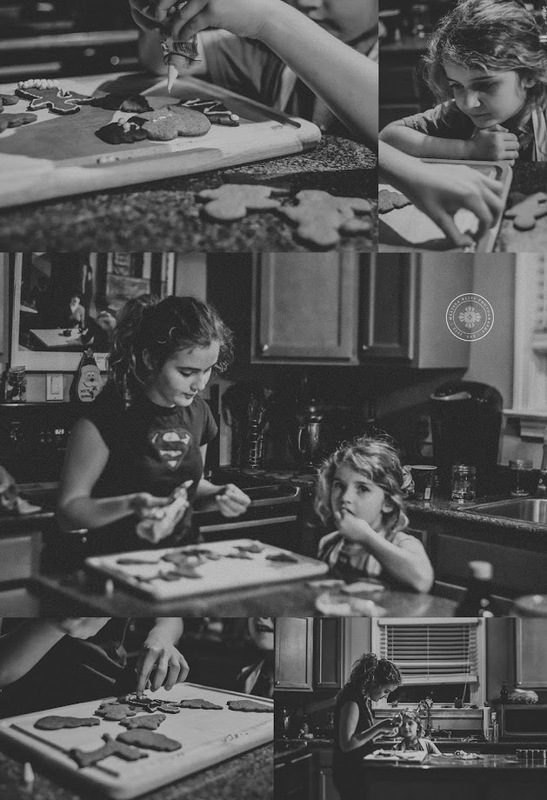 Little Miss was chomping at the bit to bake Christmas cookies, so I did take a break to bake some gingerbread cookies. Not from scratch (shame), but the girls had fun decorating them nonetheless. 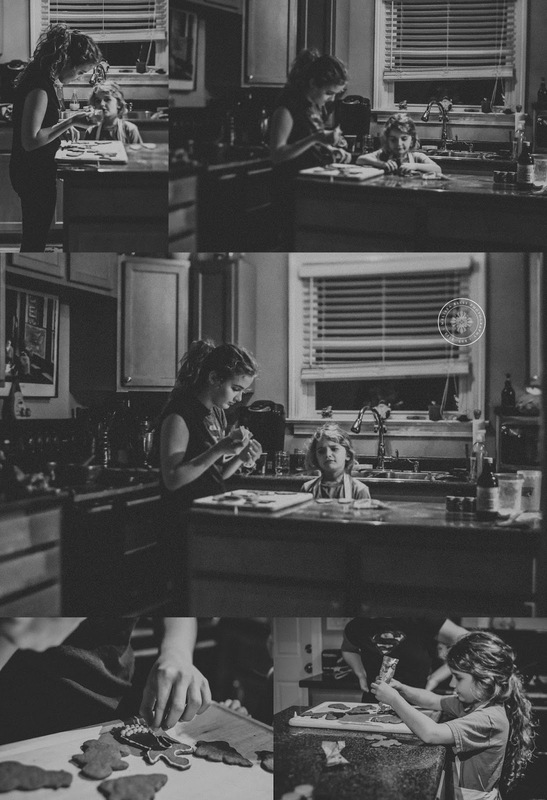 I snapped a few quick shots of our brief baking adventure and that's about all I have captured this week. I am nearing the end of my editing marathon and I can't wait to be free!!! Thinking of you mama!! I didn't get to cards this year - in fact, have not even photographed the kids since last year. I'm completely failing at documenting their lives & it's just passing me by. awe...such a fun thing for the girls to do together. Bet your home smelled absolutely yummy when all the baking was done! Yes, it is! I am looking forward to baking cookies for Santa with my baby girl for the 1st time.